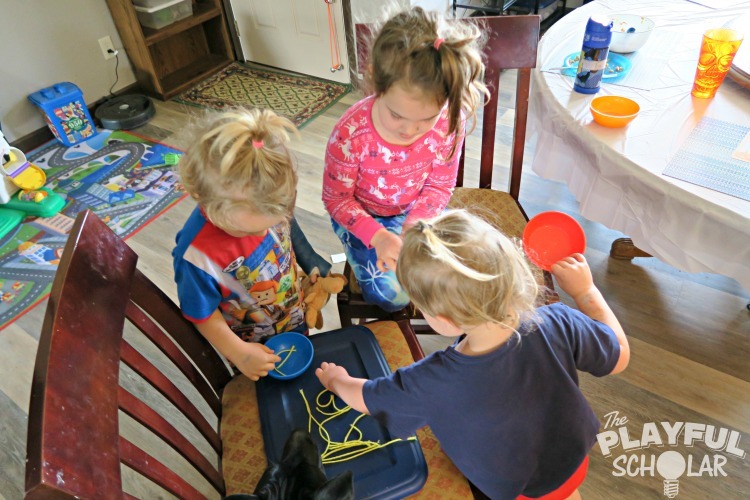 One of the best way to find out if play based learning is a good fit for your family is to try it! 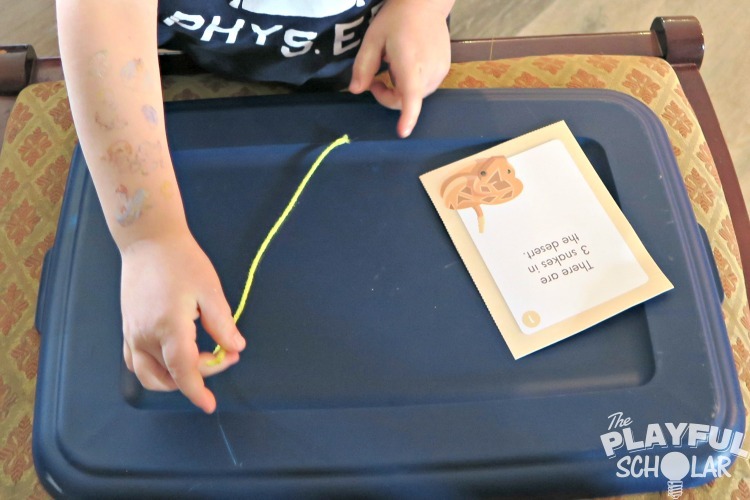 This is a simple math activity built around math story cards. Mother Goose Time helps adjust the activity to your child’s level by offering simplifications and challenges. *Mother Goose Time provided these materials. What would you do if you saw a snake? Cut your yarn into 15 pieces (long and short) then place them around the floor. My kids love helping with this part. Encourage children to walk around the room. When they see a “snake” (yarn), move around it or jump over it. 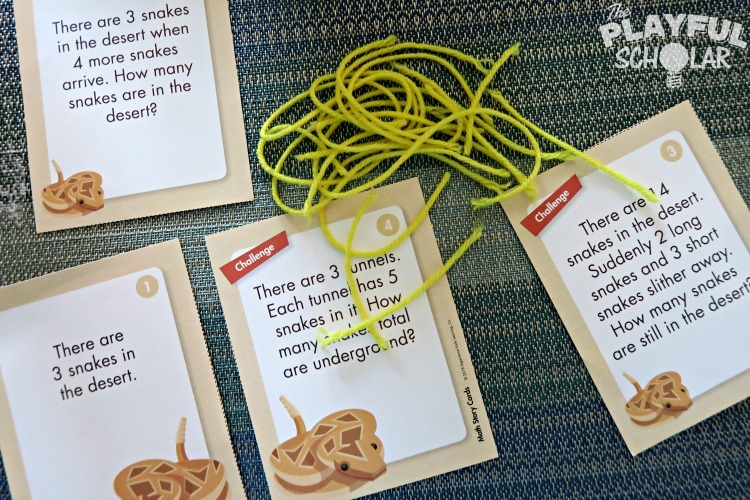 Invite children to sort the yarn into two piles: long “snakes” and short “snakes”. 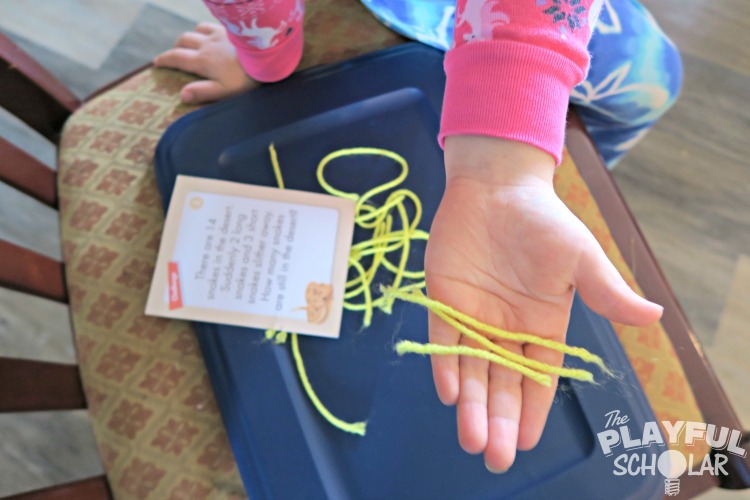 Read one of the Math Story Cards and invite children to solve the problem using the yarn. 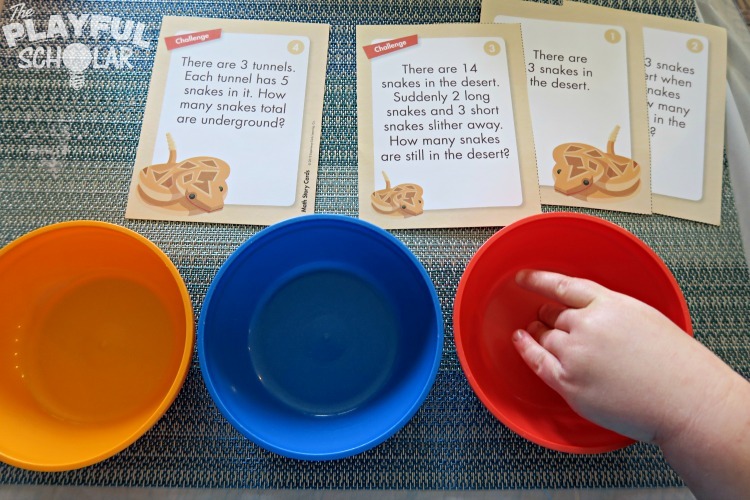 Simplify: Set out 3 “snakes” and invite a child to add 1 more; count to 4 together. Invite child to take 1 away; count to 3 together. 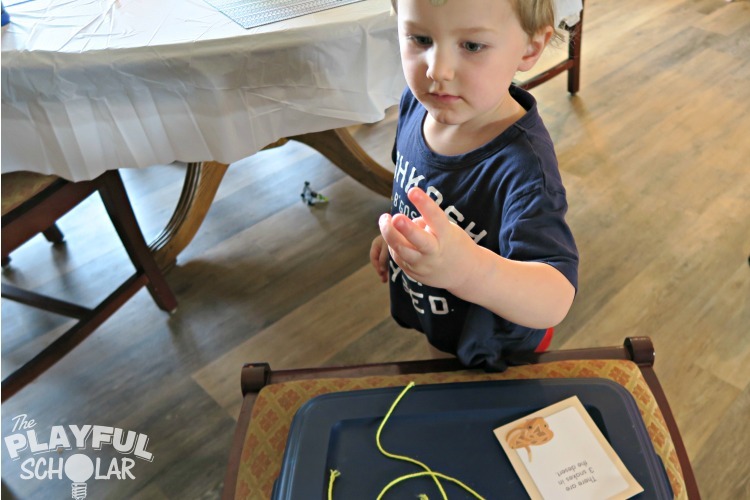 Challenge: Write an equation (3+5)= on paper and invite a child to use the yarn to solve it. 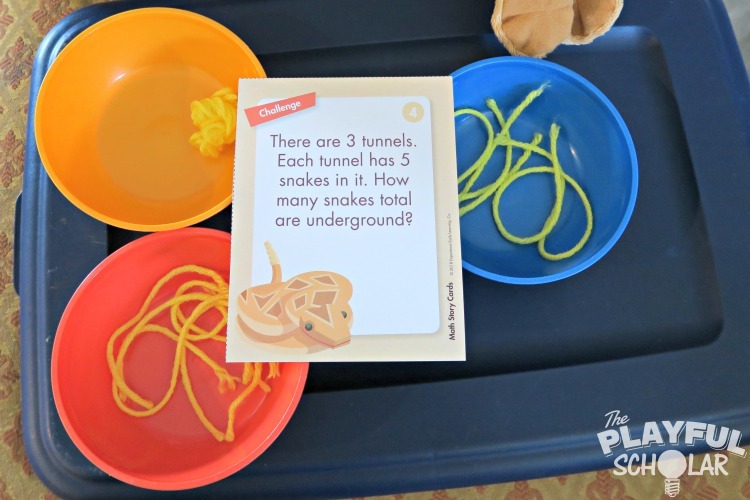 Did the child add and subtract the “snakes” to recreate the story problems? Which stories could he do without your help? Since I have three kids playing Mother Goose Time and four story cards, each child got one story all to themselves. The last challenge card was a guided group activity. 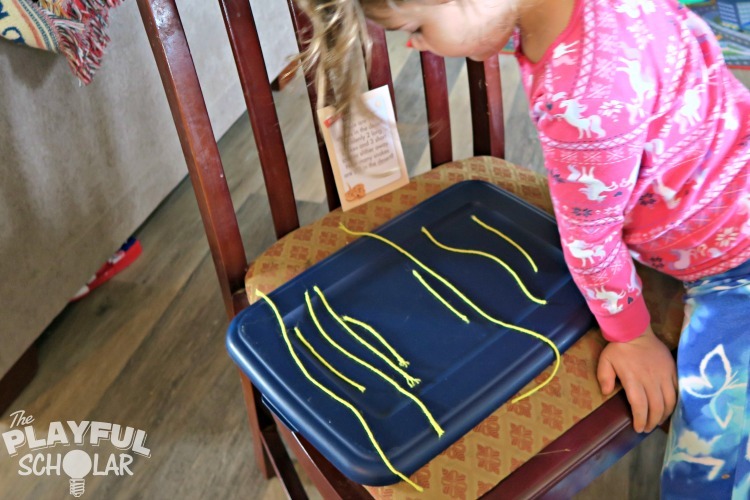 We have a mobile baby in the house, so after all the string “snakes” were located, we secured a chair top (bin lid) desert to do our counting. Although only one child is doing the counting at a time, you better belief the others are watching and listening! There are 3 snakes in the desert. First up is my three year old. He is learning that the last number you say is how many are there. He is also learning how to count up to ten and recognize how many that truly means. He did a great job. 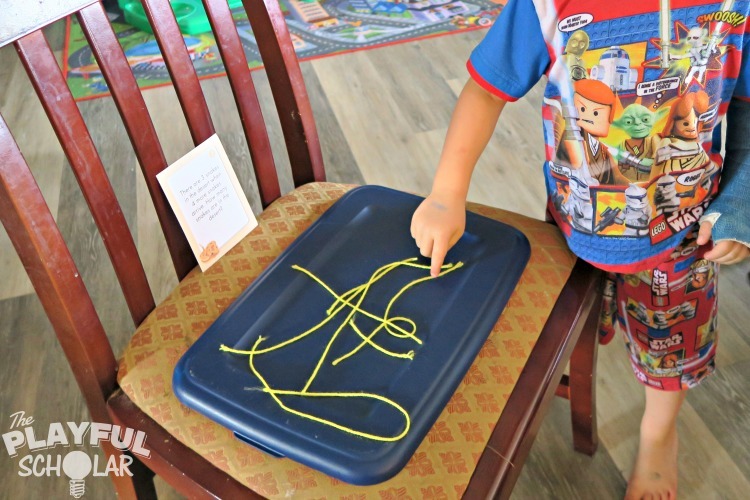 The biggest challenge was recognizing that the long pieces of string and the short pieces of string each counted as one. When the long pieces of string curl up it can be hard to tell that there is only one string present. There are 3 snakes in the desert when 4 more snakes arrive. How many snakes are in the desert? Next up is my pre-k kid. He is gaining confidence in counting and simple addition. 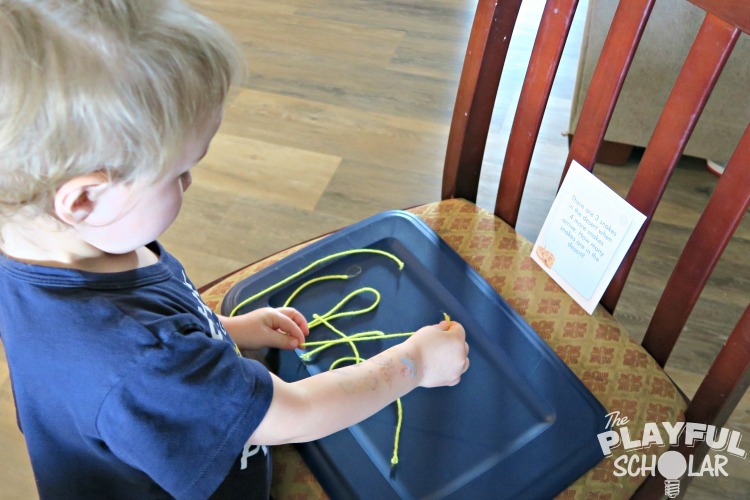 This play based activity was the perfect place for him to shine. There are 14 snakes in the desert. Suddenly 2 long snakes and 3 short snakes slighter away. How many snakes are still in the desert? This challenge card was good review for my kindergartner who still loves to do Mother Goose Time with us. She let the younger two divide the snakes into long and short. Then she determined the total. She is learning how to group items together to help determine the number without having to count each one individually. 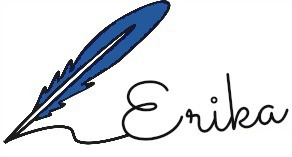 She grouped them into ten and four to find her starting point of fourteen. Her brothers slithered away two long snakes and three short snakes. She then regrouped the snakes into five and four to get her answer. Each tunnel has 5 snakes in it. How many snakes total are underground? The kids love when they can work together as a team to solve a problem. Given their age, I still manage the process most of the time. I had our youngest get three bowls to be the tunnels. I had each child count out five snakes to go into the tunnels. I let each child tell me a total. My youngest tries to count each one, but needs some help from his older brother. My daughter is able to count by tens and came up with one set of ten and five ones. Our family loves being able to learn through stories and games. This is just one example of how Mother Goose Time makes math fun and doable for my little ones.